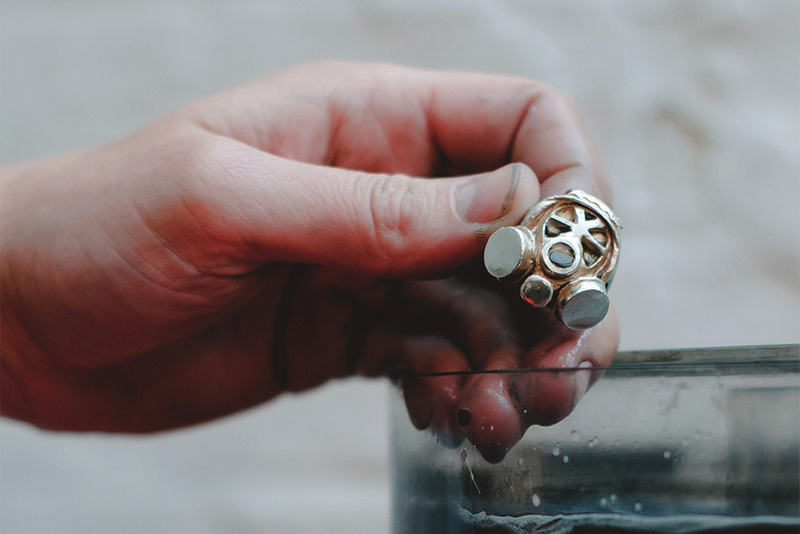 Trainers and jewellery have a lot in common, both have a strong appreciation for the finer details, both celebrate timeless design and both have die-hard collectors. 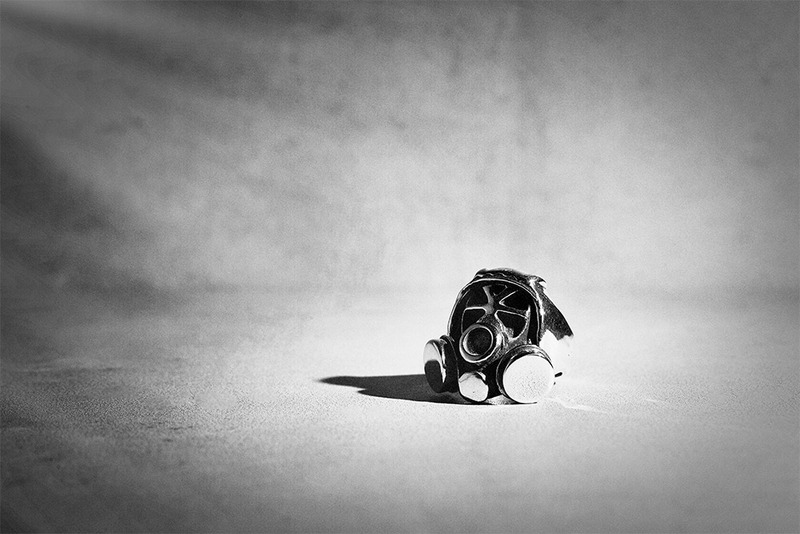 But by far the biggest similarity if the dedication that trainer designers and jewellers put into their craft. 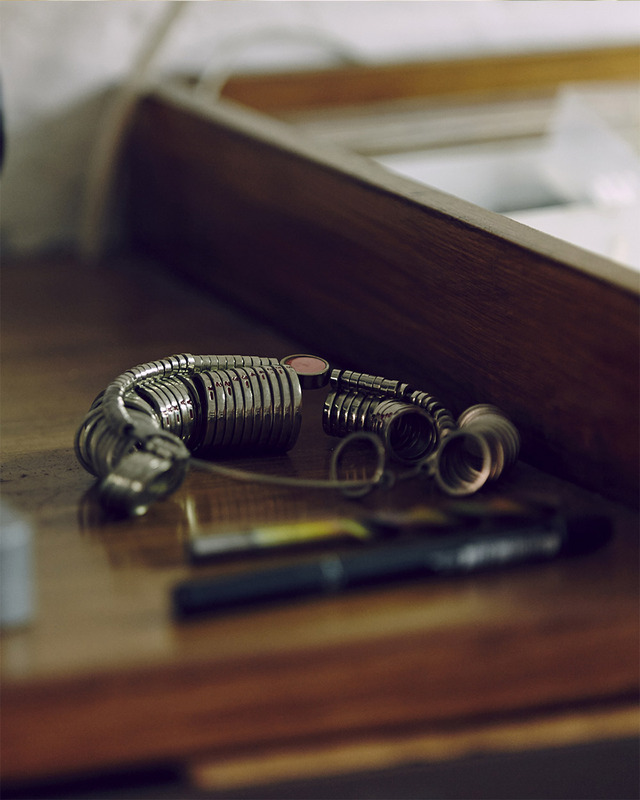 Given the similarities, teaming up a jeweller for an exclusive Footpatrol jewellery collection made perfect sense and we could think of no-one better to collaborate with than East London based jeweller, Duffy. 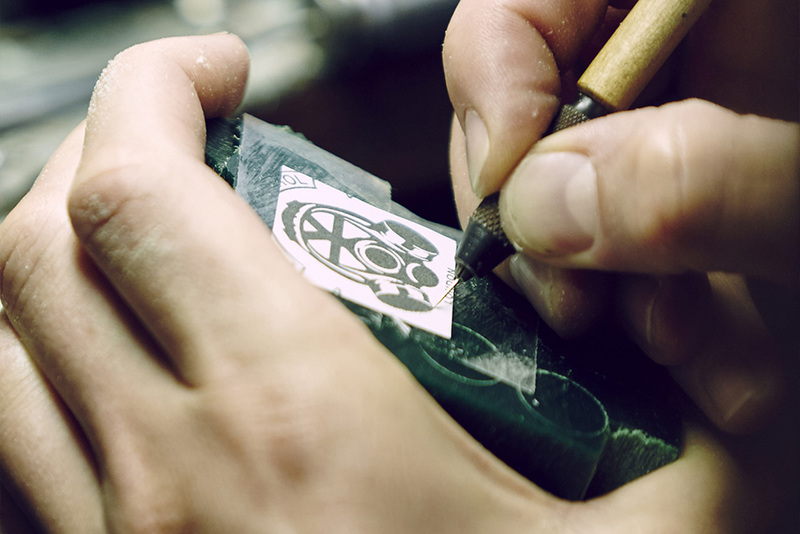 Duffy is a bespoke jeweller who specialises in intricate and timeless design with a contemporary twist. 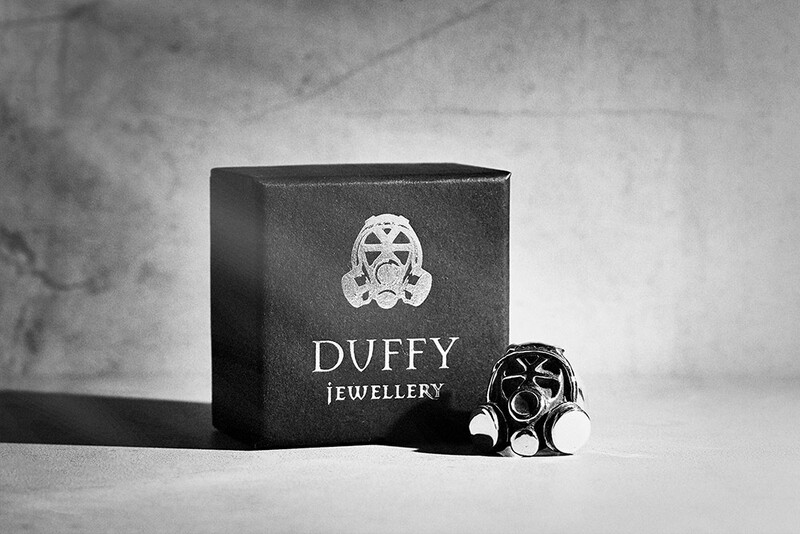 Duffy’s work is beautifully crafted and detailed and elevates classic jewellery motifs to a more modern level. 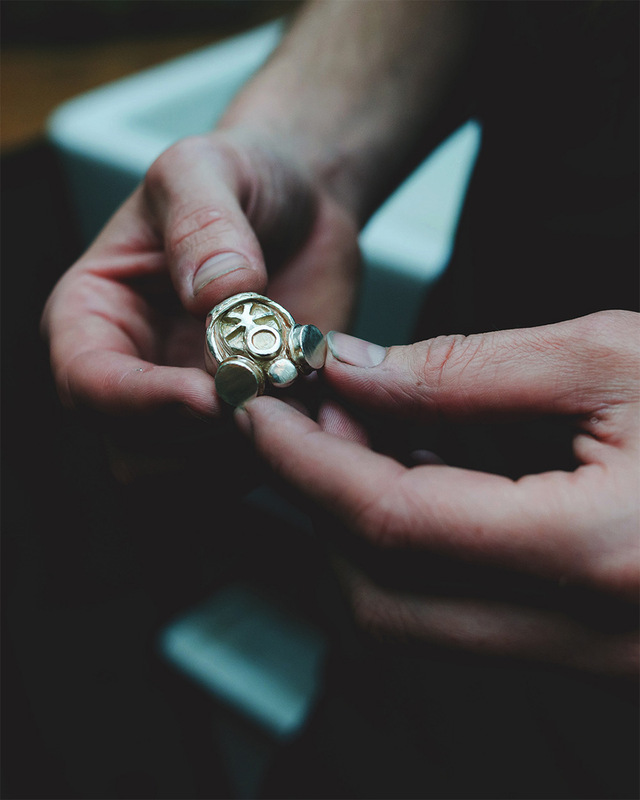 Having previously worked with Palace and OFF WHITE – creating the AW17 P signet ring for the former and golden leaf broches for the latter’s AW17 runway – we were extremely excited to work with Duffy and see what he would produce. 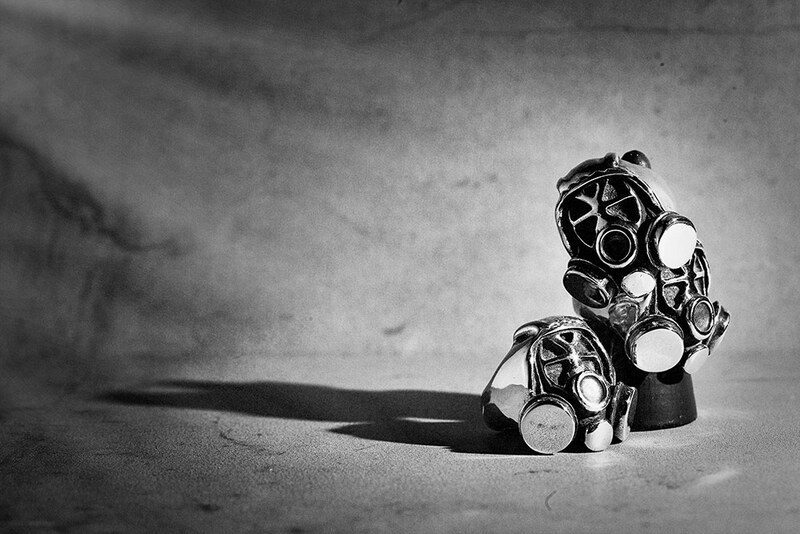 The result is an expertly crafted and timeless sterling silver ring that puts the iconic Footpatrol GasMask front and centre, the Footpatrol x Duffy Jewellery GasMask ring is limited to 50 worldwide (each ring comes with an engraved serial number), and will be available online from 8:00AM GMT Saturday 19th January, priced at £220. 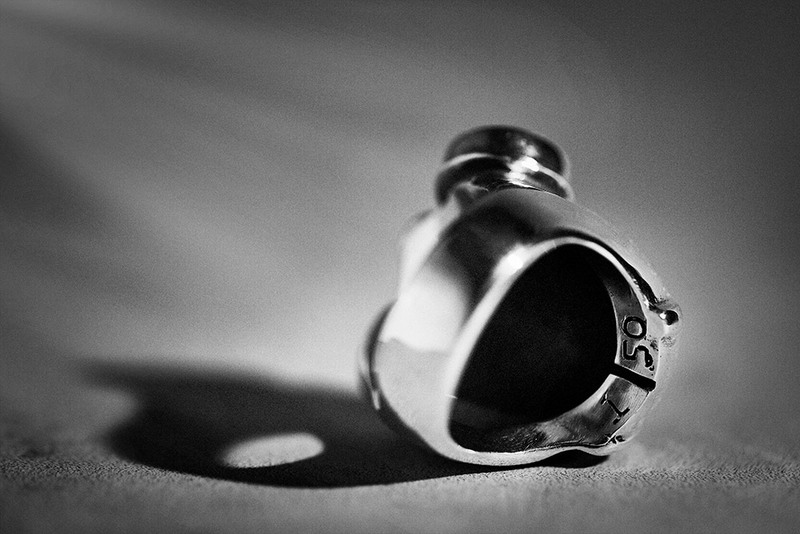 Please note, the ring comes in one size only, however it can be re-sized. Footpatrol: Hi Duffy, how are you? Please can you introduce yourself for the readers? Duffy: I’m good thank you, pretty tired as its the busiest time of year for me work wise so plenty of sleepless nights in the workshop but that’s something you get used to. 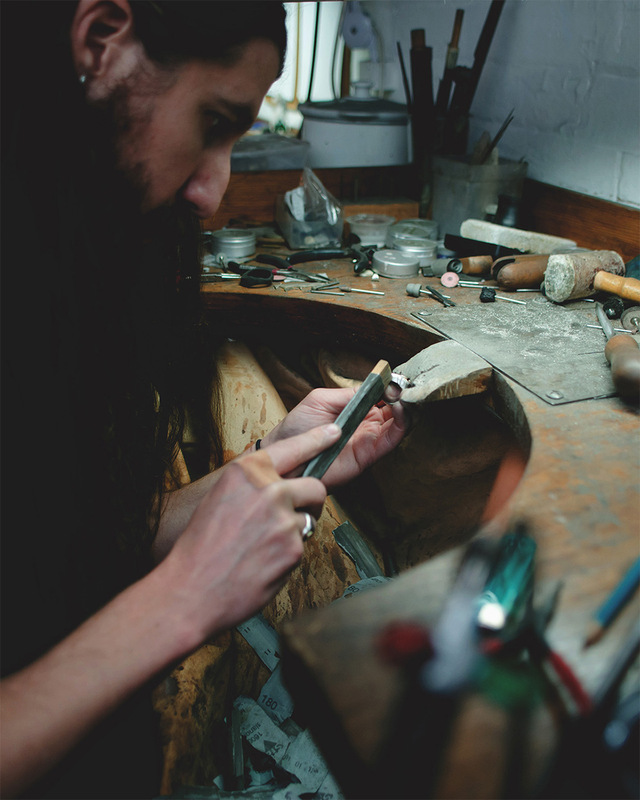 I’m a jeweller, working mainly on bespoke handmade commissions as well as working with or consulting for brands on their jewellery. 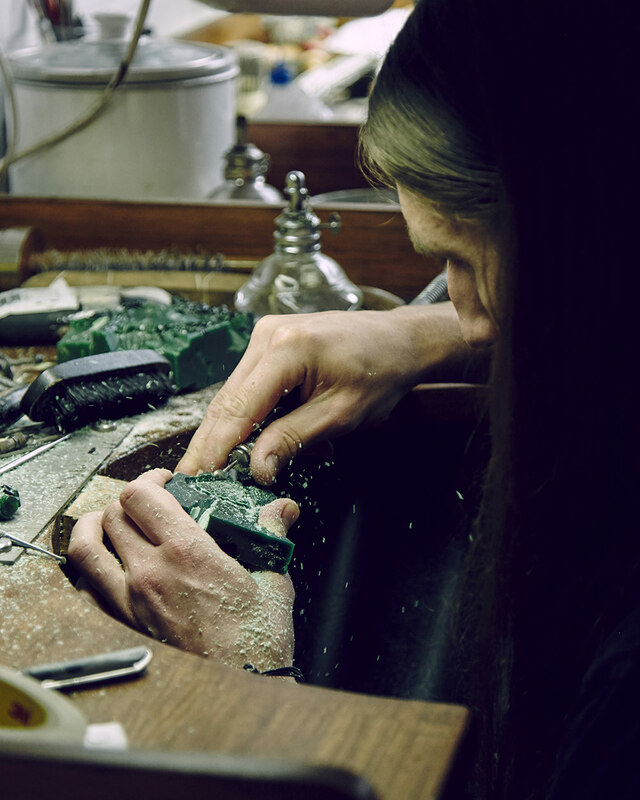 FP: How long have you been working in Jewellery? And have you always been independent? D: I graduated almost 15 years ago, which seems crazy to think it’s been that long already. 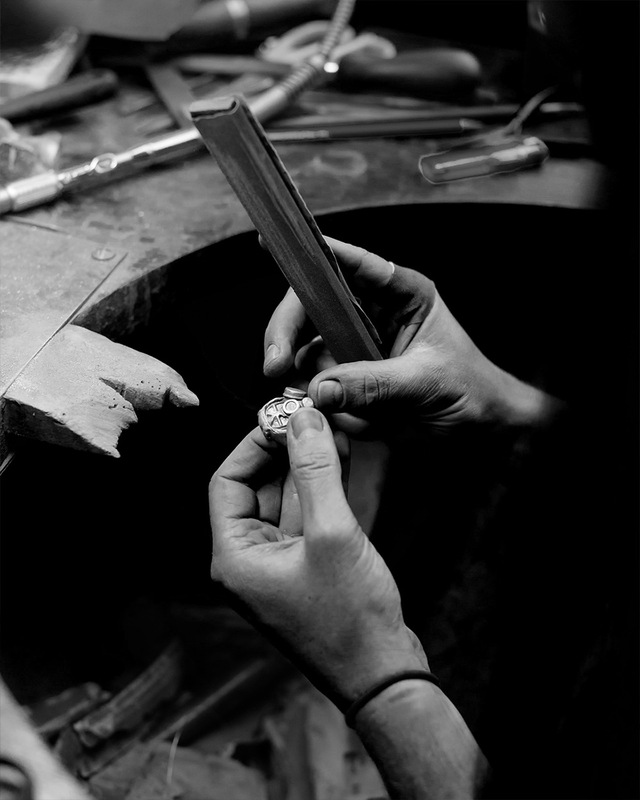 I’ve always worked for myself as I always wanted to design and make the work from start to finish myself, something that doesn’t happen when working within one of the big jewellery houses, there you are either a designer or a maker, never both. FP: When and how did you find you had a passion for Jewellery? Was it from a young age? D: My dad suggested it as a career option when I was about 13 years old as I was always drawing and making stuff. It’s an on-going joke with my brothers that when I was about 9 I hacksawed my BMX in half to make a go cart and then realised I was 9 and didn’t know how to weld so had to hide the sawn in half bike behind the shed in our garden so my dad didn’t find out. At that time I wanted to be an illustrator as I was always copying my favourite comics like Spiderman, The Punisher and Judge Dredd. 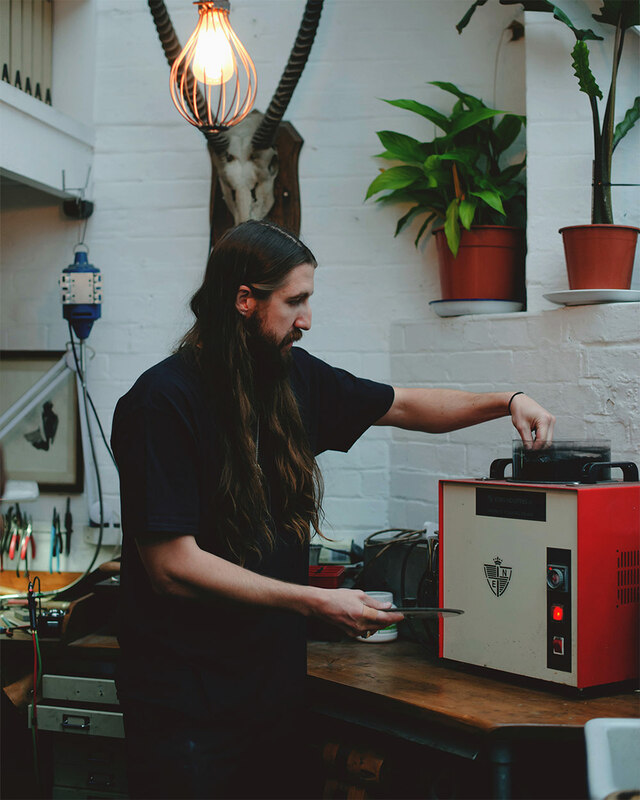 My dad had planted a seed and I began thinking about jewellery as an option and then at 16 I did work experience with a jeweller called Jeremy Hoye in Brighton, where I made my first ring and I guess that was it I was hooked. 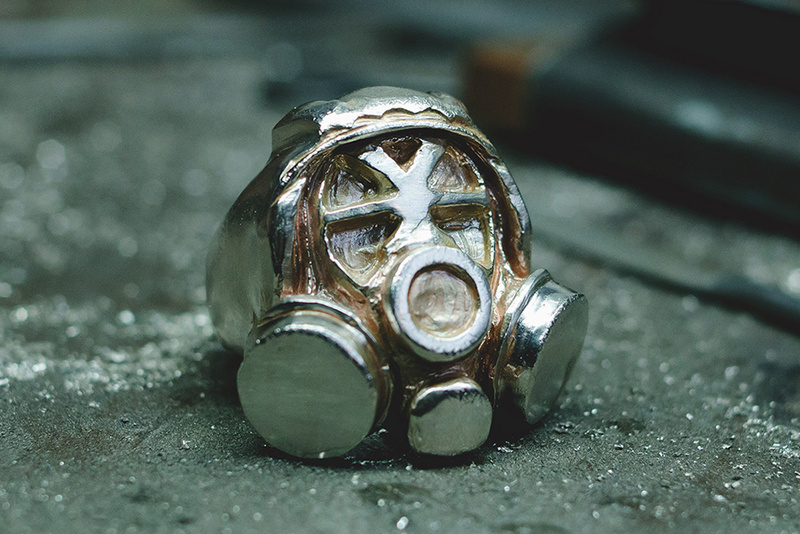 FP: Can you let us know a bit about the process of creating a piece like the gas mask from turning a digital flat logo into a 3D ring? 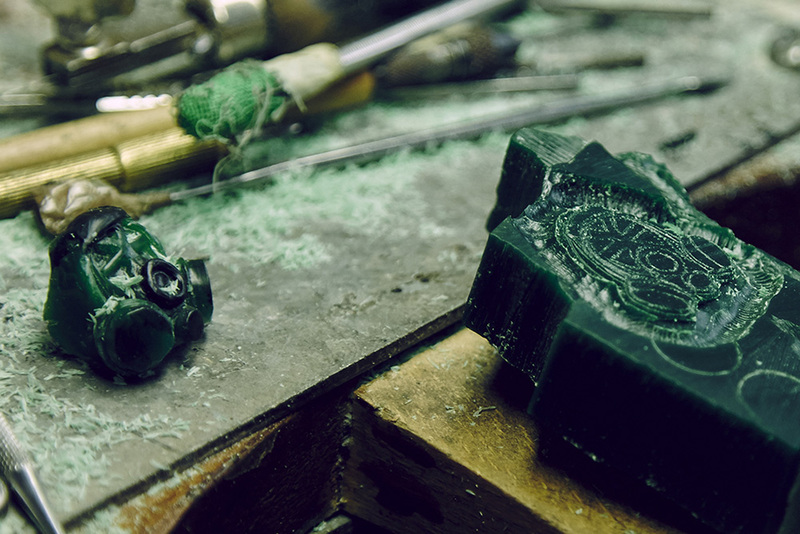 D: I work with a specific jeweller’s wax for carving models. I start with a block of this wax and basically begin removing the negative space that isn’t needed, slowly creating the desired piece. FP: Did you have any hiccups along the way? 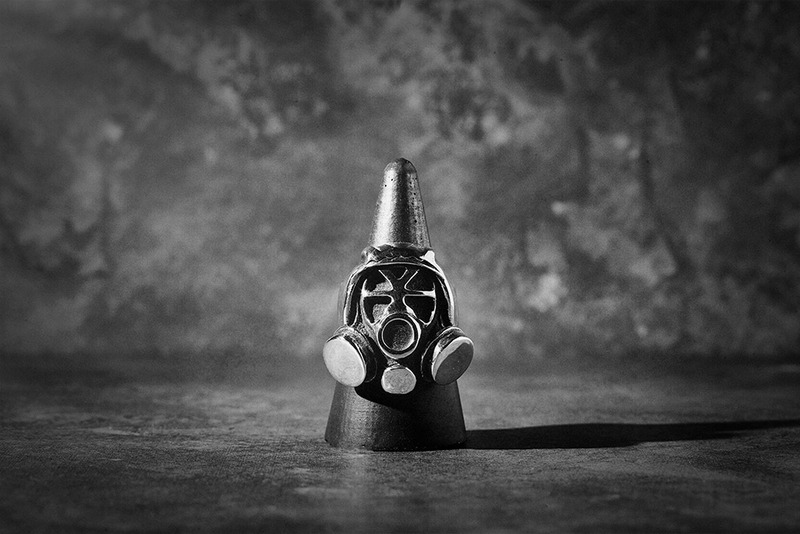 D: I wouldn’t say hiccups, the Footpatrol gas mask itself isn’t a realistic image like a photograph. The image is suggestive so translating a suggestive 2D image into a real 3-dimensional form is very tricky. You have to make up what doesn’t already exist whilst still maintaining the original visual likeness. FP: Some of the work you produce is super intricate and complex, how do you get yourself into the zone to produce such work and how long can one piece take? 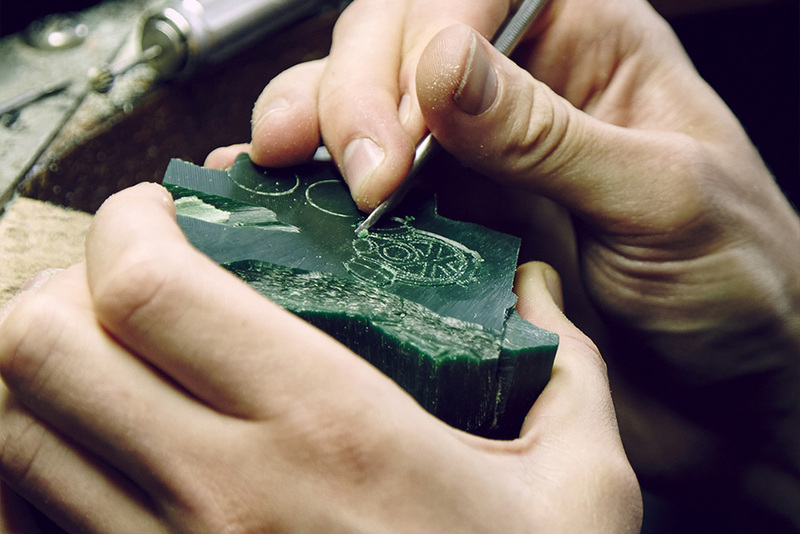 D: Being in the right mood helps, some days I’d rather be at the wax bench carving than say at a microscope setting stones or engraving but I don’t always have a choice if a deadline is looming. For the most part I manage my own time and every morning starts by walking my dog which always starts the day off nicely. I can make pieces in a day or they can sometimes take months, it all depends on how intricate and difficult the design is. FP: What is the general vibe here in your studio? And how do you find it being based in the heart of East London? D: It’s pretty relaxed most the time, it’s just me and my dog, Summer. I always have either music or movies I’ve seen a million times playing in the back ground. I have no hard-fast routine but end up working most weekends as when commissions are done there’s always personal work to play around with. East London has changed so much over the years. Clients wouldn’t visit me 10 years ago as it was too far out or too sketchy for them, I would have to constantly meet my clients in central somewhere, now it feels like the world has moved east. FP: This year you have worked with some amazing brands and created some incredible pieces are you able to shed some light on how these collaborations have come about? 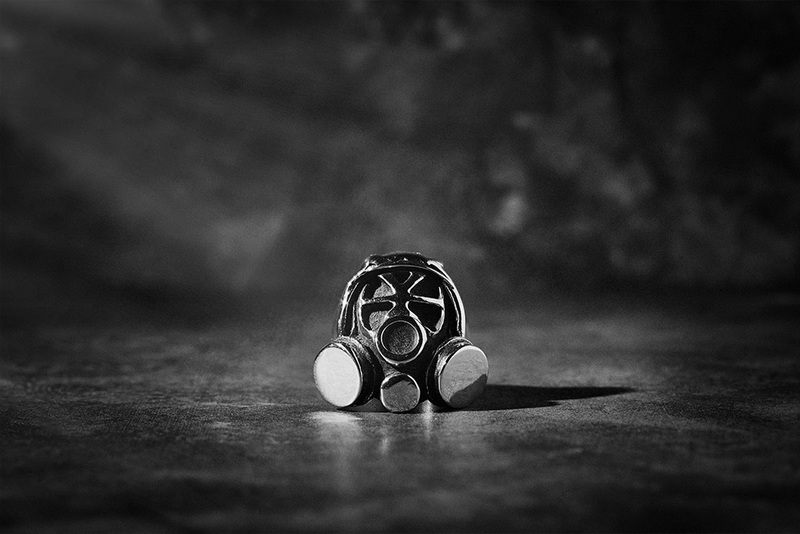 D: It’s been a great couple of years in regard to collaborations and the people I’ve had the pleasure to make pieces for. 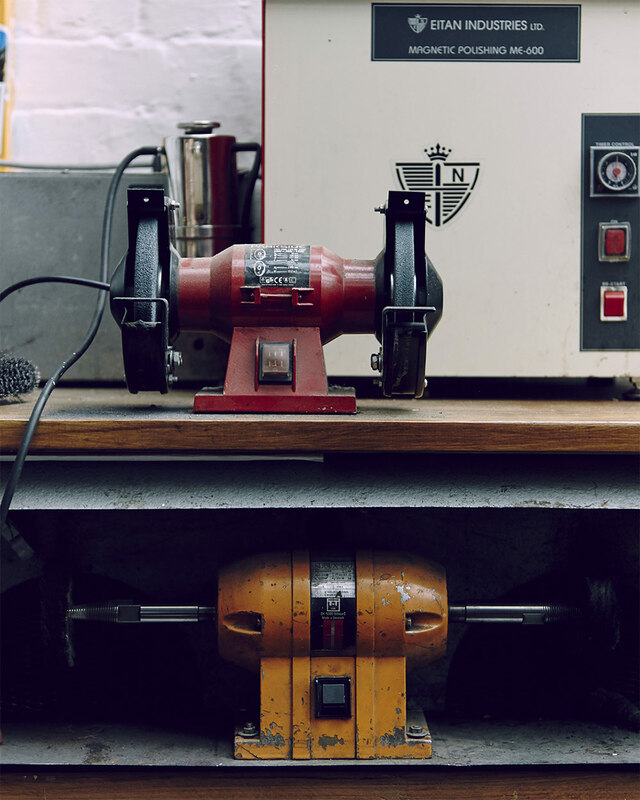 I get approached a lot to help brands with their jewellery but most the time say no as I really have to either like the brand and what they are doing or be giving an exciting proposal that offers me a chance to challenge myself. The Stella MacCartney project was real fun as they gave me a small amount of guidance as to what they were after and then they just let me run with it. Off-White was slightly different as Virgil had an idea but didn’t know how to realise it and that’s where I came in. I think these collaborations come about as in the world of fashion there aren’t many people that can offer both craft and design whereas I am able to handle a project in its entirety. FP: Do you have a favourite piece of commissioned and personal work? 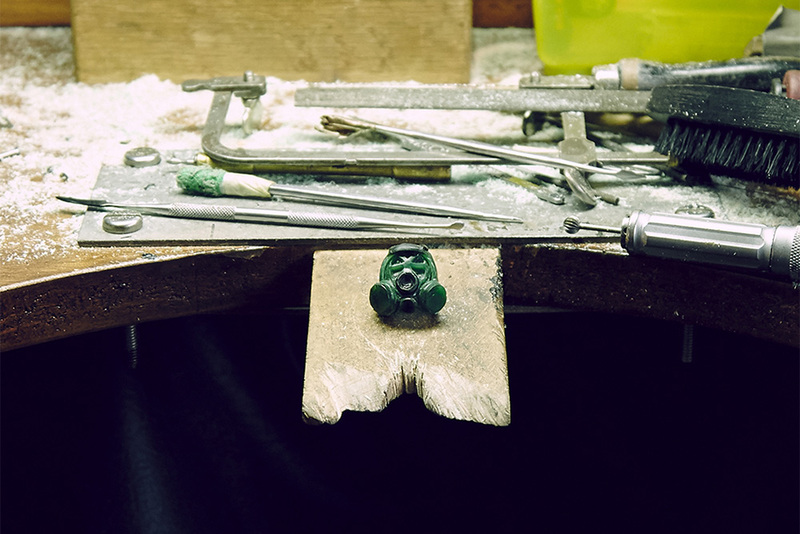 D: I sometimes carve wax models for other jewellery houses for them to realise their designs into a 3-dimensional object from which to take a mould. 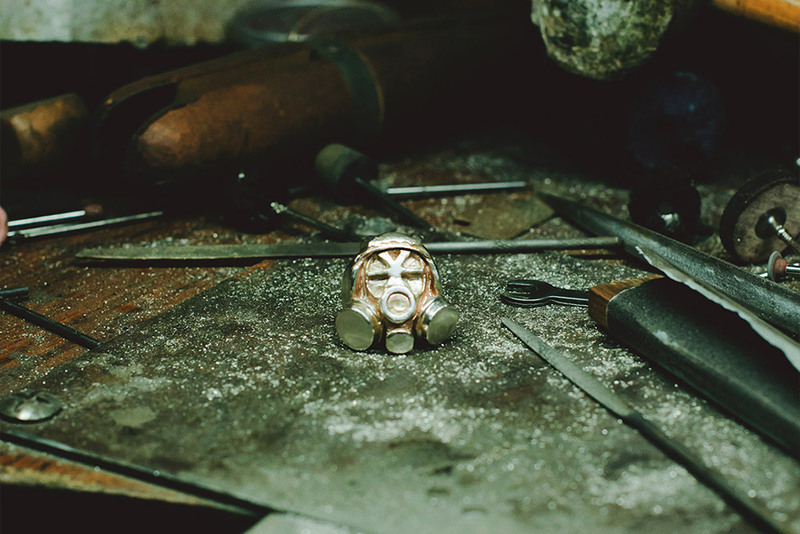 I have carved some pieces for Faberge which was a real honour. Then in regard to personal work I made a necklace of a swan for the global launch/exhibition of ethical gemstone company Gemfields that was held at Phillips a few years back. That meant a lot to me as I was exhibiting alongside some of the greatest jewellers in the world and it affirmed my position as a skilled professional within my industry. FP: Are there any materials and stones that you like to work with more than others? D: I love 18ct gold it just seems to work so much more effortlessly than most other precious metals. I’ve been experimenting with lots of unusual materials the last year. I made an ebony and gold collection for Hostem and would like to do more work like that. As for gemstones I love Tourmaline, specifically Indicolite Tourmalines and recently loving Grey/platinum coloured spinels. FP: How would you define your style of work? 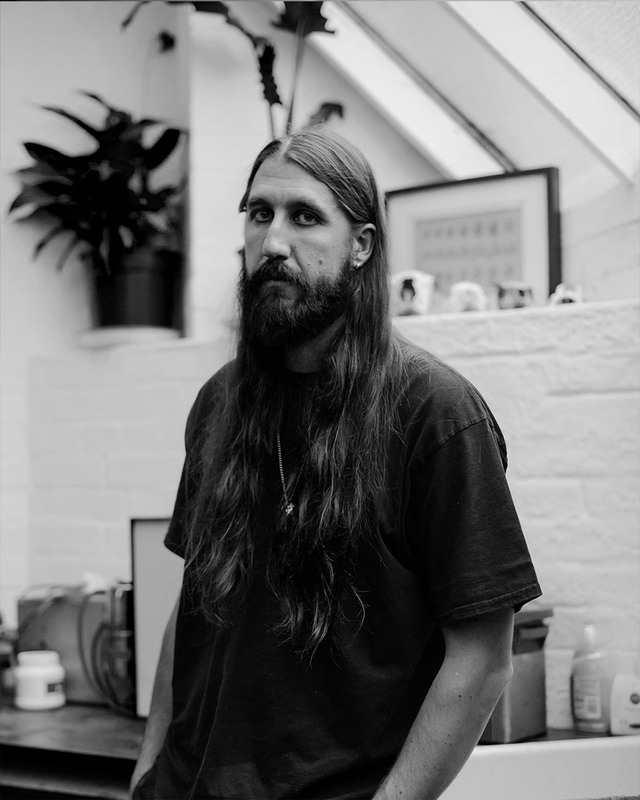 D: That’s always a hard one as I make very diverse styles of jewellery but for the most part I would say it’s usually large, bold, ornate and I try to make my pieces feel timeless. FP: As Footpatrol is a sneaker store, do you have a history with sneakers? Are there any pairs that stand out for you? D: I’ve always had an interest in sneakers that goes back to being a young kid. When it came to buying new shoes for me and my brothers my mum would always give us a budget. The budget would only ever allow for me to get some budget sneakers, so I would always do jobs to earn a little extra to get something I really wanted. I remember always wanting something that my friends wouldn’t have, and the Nike Air Shake, and Nike Air Trainer 1 Mid spring to mind. As for favourites I’ve always loved the Nike Light Bursts. I’ve had a fair few of them but lost most of them to the mid sole failing. I’m down to two wearable colour ways that haven’t yet started to crumble. FP: Outside of creating Jewellery how do you like to unwind and spend your time? D: Walking my dog, cycling and a few pints in a real pub would be about the perfect day. FP: We are coming to the end of what looks like an amazing year for yourself. What can we expect to see from you in 2019? D: A lot of stuff planned, there’s a collaboration I’ve been working on for sometime which launches in January with Jo Malone. I’ve never sold my work through retailers other than Hostem In London as they’ve always allowed me to create bespoke collections specifically for them but as of February I will be stocking with some select international stores. 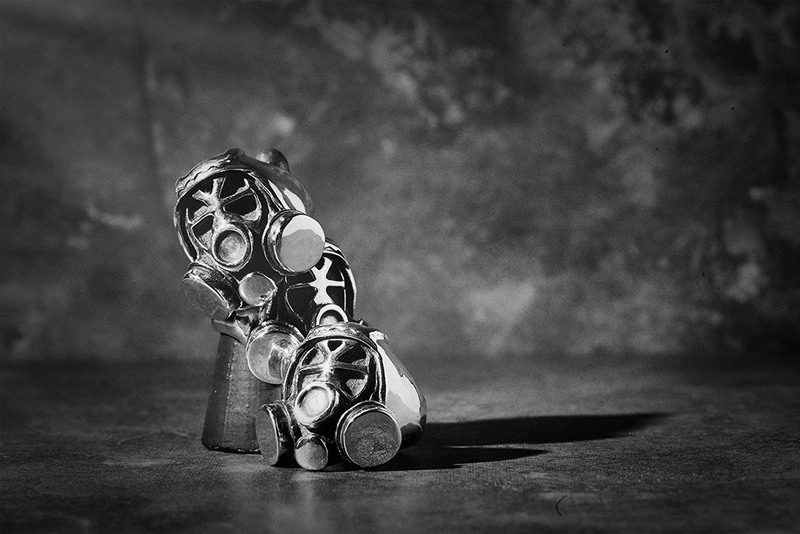 I’ve just started work on a series of one of a kind pieces I hope to exhibit around the end of March as well. For now, I think that’s plenty enough to keep me busy.